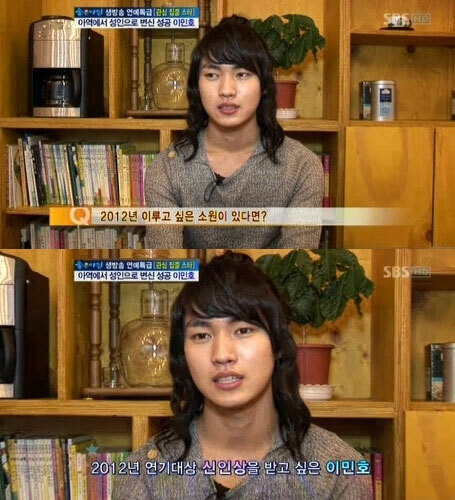 The desire of Lee Min Ho (19 years old) from The Moon that Embraces the Sun to win the Newcomer Award exposed. In the MBC talk show Good Day broadcast on the morning of March 19th, 2012, the interview of Lee Min Ho who complete portrayed the willingness to part of Yang Myung during his childhood was broadcast. Rooftop Prince debuts at 9:55pm on the night of March 21st, 2012.